The most important thing we can do is share God's love with our campers. This is why we do what we do, and we can't be more thankful for our wonderful campers! All Explorer camps are full. Trailblazer Camp is an option for campers who have completed 3rd grade. Find a listing of open camp spots here. There’s no shortage of fun and adventure at Heartland's Explorer Camps! Each day is filled with horseback riding, Bible stories, nature hikes, swimming, crafts and lots more. Our hope is to share the love of Christ with your child through teaching, singing, and modeling Jesus in our lives. We know you’ll agree, Heartland Camp is awesome! This camp is Wednesday-Friday for campers who have completed 2nd-3rd grade. Housing will be in our beautiful Pete’s Cabin. Trailblazer camp July 14-17 is full. For July 7-10 female spots are full, there are three male spots remaining. Get ready to blaze a trail for adventure! 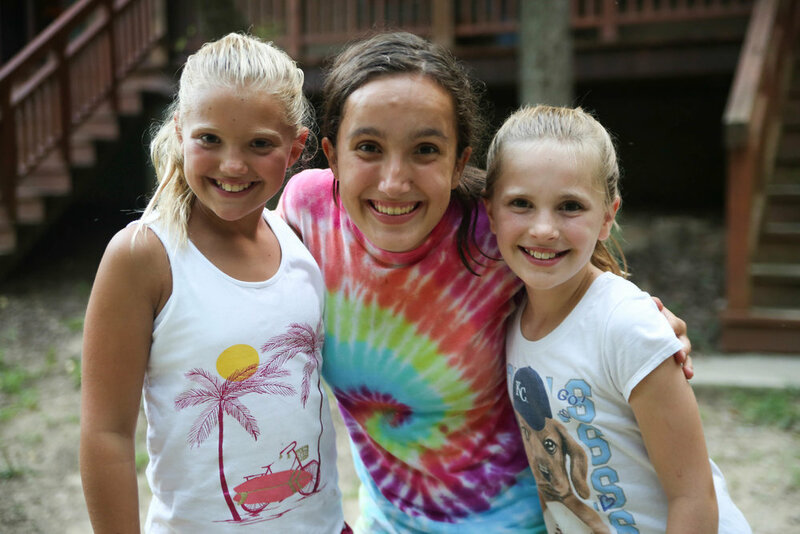 You’ll love the activities, campfires, new friends, and the excitement that awaits you at camp this summer. Each day is filled with horseback riding, Bible stories, nature hikes, swimming, crafts and lots more. Come ready for a fun time and leave with new friends and loads to tell your parents about when you get home! Everything at camp is hands on, feet on, and heads up. Campers become interested, get involved, and achieve. This camp is Sunday-Wednesday for campers completing 3rd-4th grade. There are one female and three male spots remaining. Click here to see a full list of open spots. The week of Camper vs. Wild is packed full of fun camp activities, campfire worships, and meals cooked over the campfire. Campers form relationships with new friends and awesome counselors as they hear about the greatest love story ever told. Campers take part in challenging and fun “survival” type adventures and spend a night underneath stars. Led by a staff that desires to serve Jesus Christ, build relationships with campers, and make sure each camper has the best week of their year at camp. This is a 5 night camp housed in our popular Hogans. Female spots are full July 21-26, all other spots are currently available, click here for totals. Hydro camp is focused on God through Christian adventures in the water and outdoors. Campers build relationships while canoeing on an area lake, competing in Water Olympics and challenging themselves with water games! Every day is packed with awesome camp activities, hearing about our loving God, and spend time with great college age counselors who are passionate about modeling what it is to live a life for God (and get SOAKED doing it)! This is a 5 night camp and is housed in our Highlander Cabins. Female spots are full, there is one male spot remaining. Register or join the wait-list here. A healthy appetite is on the packing list for this camp! Spend your week at camp learning the basics of cooking and nutrition. In this case, learning means a bunch of fun, messy, hands-on experiences and even an Iron Chef cooking challenge! Sharpening (or even beginning!) your cooking skills will take place among the rest of our Christ-centered program. College-aged staff will spend the week investing in your camper through Bible studies, horse rides, swimming, and worships. Campers will learn to share the love of Christ in a new way during the week, that may even include sharing their newly-made desserts when they get home, but no promises! This 5 night camp is housed in Trask Lodge. Female spots are full, male spots are still open. Click here for totals. This camp is perfect for every curious 4th-6th grader. Creek walks, crazy experiments, nature hikes, and awesome building challenges happy daily. EXPERIENCE science and engineering challenges in God’s creation! Not to mention you will still get to take part in camp activities like Bible study, horseback rides, giant swing, archery and swimming. Not only will campers get to learn about and experience God’s creation in a new way, they will experience God’s love through the relationships that are formed at camp. This is a 5 night camp housed in our Highlander Cabins. Male spots are available, female spots are full. Register or join the wait-list here. What do you get when you combine the fun of camp and the skills of a spy? You get Highlander Secret Agent! In addition to the traditional camp activities like horseback riding and swimming, campers will participate in a week-long secret mission. This mission will include finding hidden clues, solving a break in box, and a glow-stick night adventure! This is a 5 night camp housed in our Oak Place lodge. Female spots are full, male spots are currently available, click here for totals. There is nothing better than spending a full summer’s day in God’s creation; playing, building relationships, and probably getting messy. Highlander Splat creates time to just be a child, with no worries, in God’s creation. At this camp that means daily messy adventures! Including, games in our 600 sq. ft. mud pit and a super soaker tie-dye bonanza (white t-shirt provided)! This is a 5 night camp housed in our Highlander Cabins.